We’re hatching a clutch of duck eggs for a friend at the allotments. When we last checked, 8 out of the original 11 were still viable. 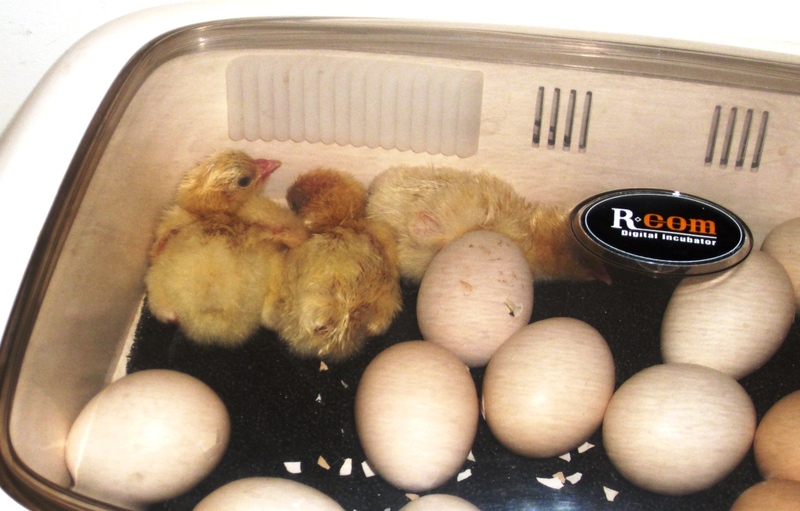 The first surprise came yesterday afternoon, when the three-day hatching phase commenced. A couple of eggs had already started to pip, 48 hours earlier than we would have expected. You can see the first little chips in the shells as the ducklings start to hatch. 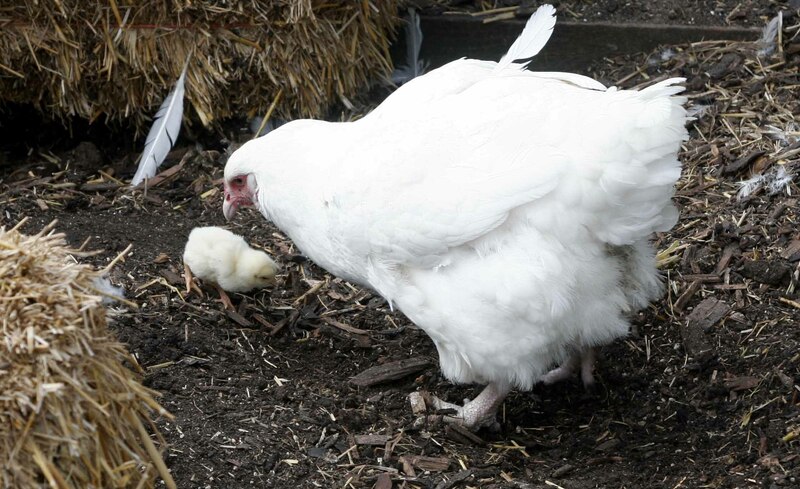 We’re very late this year (been having the kitchen done, which rather put other projects in the shade), but at last we’re hatching some Ixworth chicks. The broody hen’s long wait wasn’t in vain. Last weekend she hatched just one chick. She’d been sitting on four eggs, but the other three didn’t come to anything. It looks as though the long wet spell is finally coming to an end. 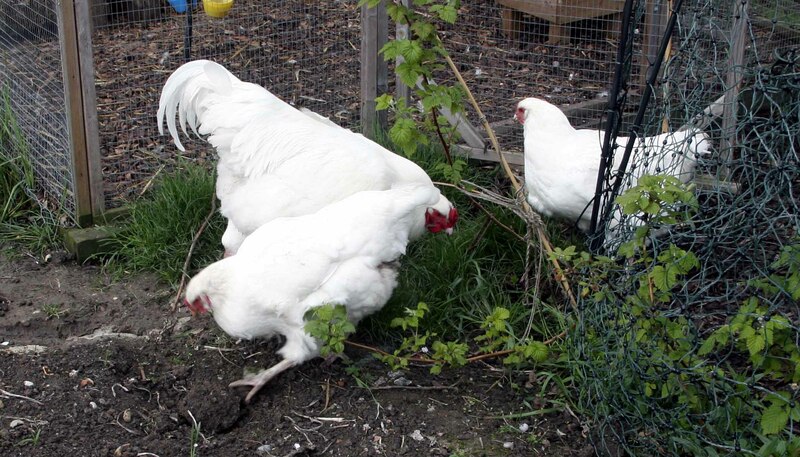 The chickens are far happier, even though they’ve still got muddy marks on their feathers. It’s still a bit gloomy and cold to attempt to give them a bath! Well, one of them is. Most will be one week old tomorrow. Here they are on Monday, when most were 3 days old. They’re still at the “bundle of fluff” stage, but growing rapidly. We’ve progressed from food and water in a saucer to a proper chick feeder and drinker. 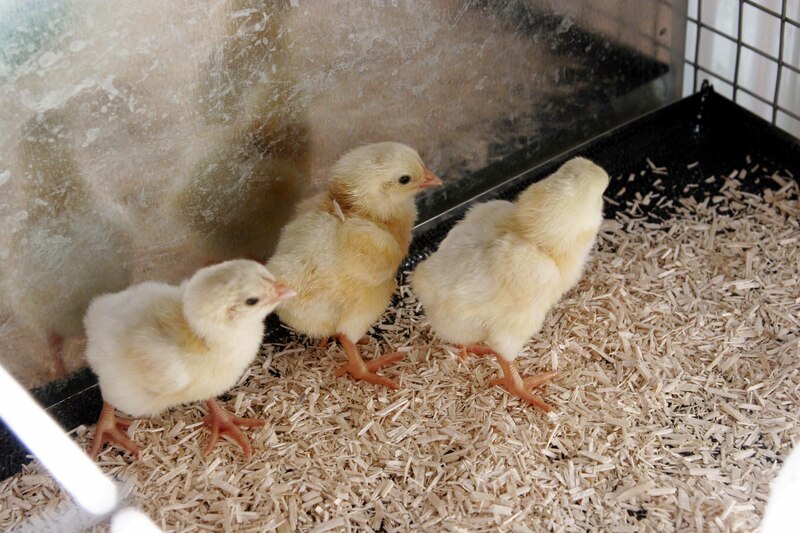 I’ll start with a sentimental picture of adorable fluffy chicks, so that everyone can say, “Aaaaah”. But the point of this post is simply to show eggs as they hatch. I managed to record all of the final four of our hatching eggs. Two on Friday lunchtime, one late afternoon, and the final one on Saturday morning at about 8am. 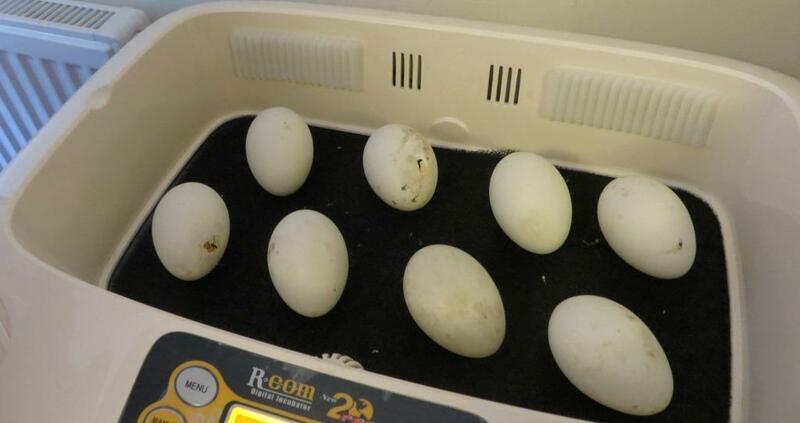 It’s been three long weeks since we put the eggs in the incubator to hatch, and two weeks since we candled them for fertility, which brought the numbers down from 17 to 8. I haven’t messed with them since then, and just let the incubator do its work. Every hour the eggs were turned, to the accompaniment of a little happy egg turning tune. 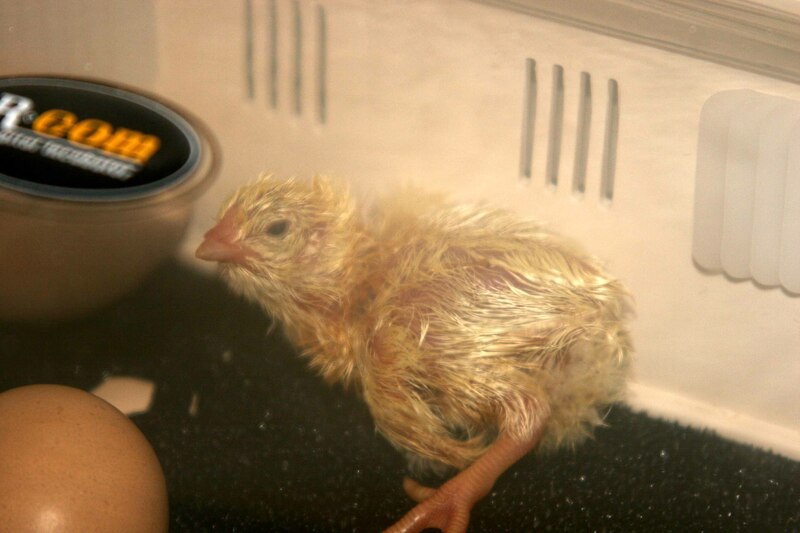 Then on Tuesday evening, the incubator switched into hatching mode. 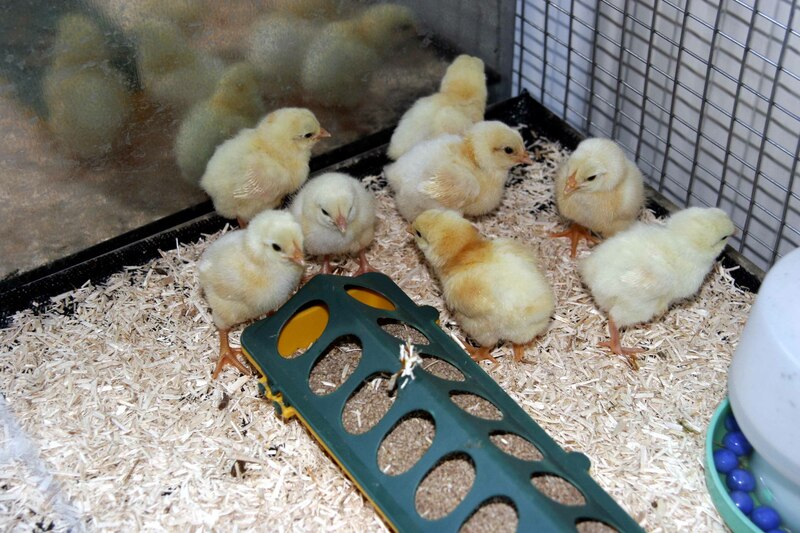 The egg turning mechanism switched itself off, the temperature dropped half a degree, and the humidity rose to 60% to emulate the conditions for hatching under the broody hen. Friday (today at the time of writing). Thursday evening, a day ahead of schedule, this little chap was born.